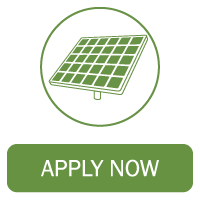 The Green Vehicle Loan offers lower rates and extended terms to help make financing that hybrid, electric, alternative fuel, or high fuel economy rated vehicle easy. With so many options for green vehicles available, we designed this loan to fit every make and model that fits your lifestyle. At VSECU not only do you get one of the lowest rates in Vermont, but you can earn even better rates by taking advantage of relationship discount pricing. To make things even easier, we work with participating dealers who can take your loan application on the lot and determine if you qualify for a vehicle loan from VSECU. We work with electric utilities to enhance your savings, so if you are in the market for an electric or hybrid car, click here to find out if you are eligible for rebates and incentives from your provider. Fixed rates give you easy to manage, predictable payments that can help make getting into a green car even easier. Discounted rates make it easier for you to buy a hybrid, electric, or other high fuel economy vehicle. Our Green Vehicle loan will let you finance up to 110% of the high NADA book value of your new car. We offer 6 year terms for used vehicles and 8 year terms for new vehicles. Gas/Electric hybrids are popular high-efficiency vehicles; our Green Vehicle Loans are a great way to join the crowd. Electric vehicles are becoming more popular than ever, and we even have a VSECU charging station. Alternative fuels like fuel cells, ethanol, natural gas, propane, and hydrogen qualify for the Green Vehicle Loan. Please Note: The combined MPG (miles per gallon) is a weighted calculation with more emphasis on the city miles. This loan is not available for scooters, mopeds or motorcycles. This loan is for a car or truck purchase only. The Green Vehicle Loan is available for vehicles meeting certain requirements. However, this loan is not for the financing of scooters, mopeds or motorcycles. This loan is available for cars and trucks only. Best rates are reflected in the rate table below. Be sure to check out the AutoSMART service we provide for members. This one stop shopping resource provides information about the value of your existing auto, suggested retail prices for new and used autos, plus much more. If you already have a vehicle loan with another financial institution let us help you save money with your monthly payment. Buying an electric or hybrid car? If you have an account with one of our electric utility partners you may be eligible for rebates and incentives. Save even more by financing your car with a low-interest Green Vehicle Loan at VSECU. We make it easy for you to shave extra off your overall financing costs by applying rebates and federal tax credits directly to your principal balance. Learn More about BED rebates. Learn More about GMP rebates. Learn More about WEC rebates.